Gamma Sigma chapter was installed at Colorado Christian University, Lakewood, CO (more). The Sigma Zeta National Science & Mathematics National Convention was held at Evangel University in Springfield, MO. 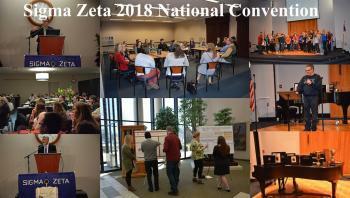 Members from 20 Chapters participated with 12 oral and 28 poster presentations. Colorado Christian University in Lakewood Colorado submitted an application for a campus chapter of Sigma Zeta on December 4, 2017 and the chapter was approved by the Executive Council members on December 11, 2017. The new chapter installation will take place in April 2018. Warner University, Lake Wales, FL application on 12/15/2016 for a new campus chapter was approved by the national officers on February 9, 2017. Miami Dade College, InterAmerican campus, Miami, FL application on 12/5/2016 for a new campus chaptern was approved by the national officers on February 9, 2017. 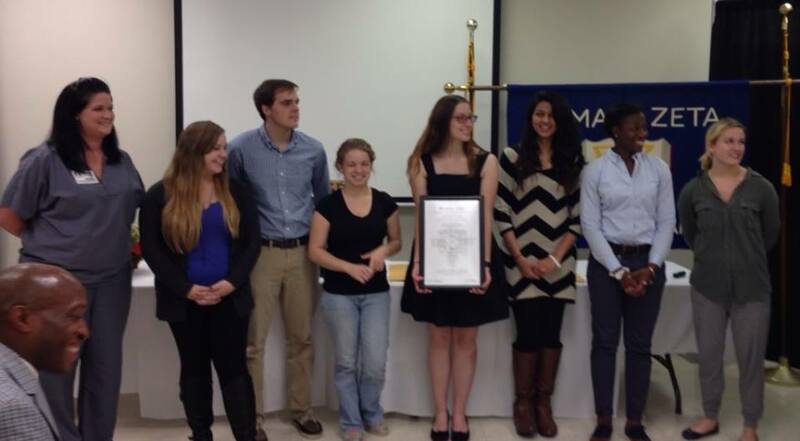 Alpha Chi Chapter of Eastern University, St. Davids, PA, re-activates their local chapter. 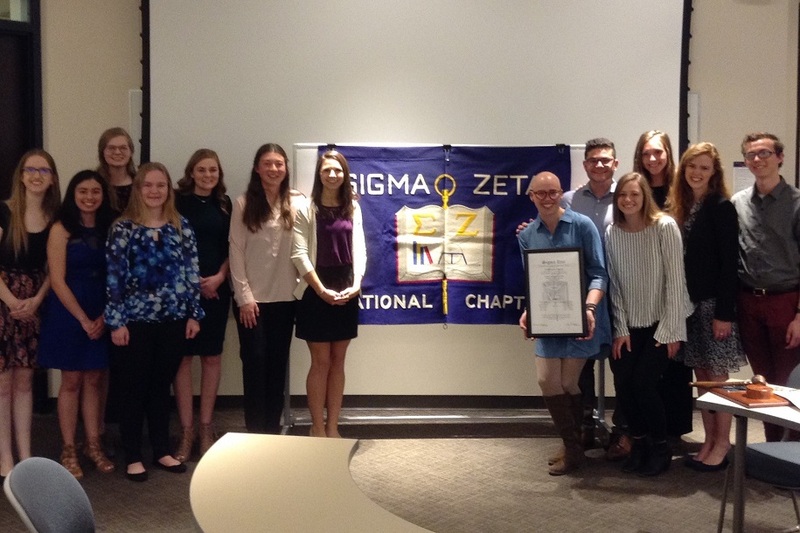 Saint Joseph's University, Philadelphia PA submitted an application to form a new campus chapter of Sigma Zeta. 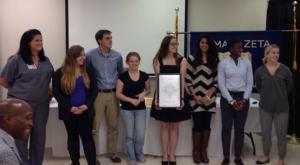 King's College, Wilkes-Barre, PA application for a campus charter was approved by the National Officers. 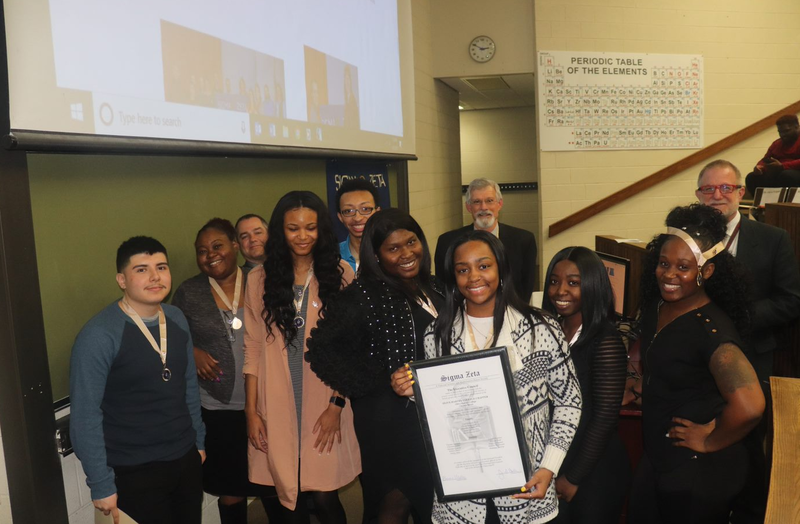 The Gamma Lambda Chapter of Sigma Zeta was installed at Missouri Baptist University, Saint Louis, MO by Past President Paris Barnes on April 18, 2015. Alpena Community College today welcomed their 150th member since the chapter was installed in 2005. College of the Canyons, Santa Clarita, CA joined Sigma Zeta as our third Associate Chapter. College of the Canyons, Santa Clarita, CA application (5/3/14) for the formation of a new associate chapter was approved by the officers of Sigma Zeta. The new chapter will be officially chartered in an installation during Fall 2014. 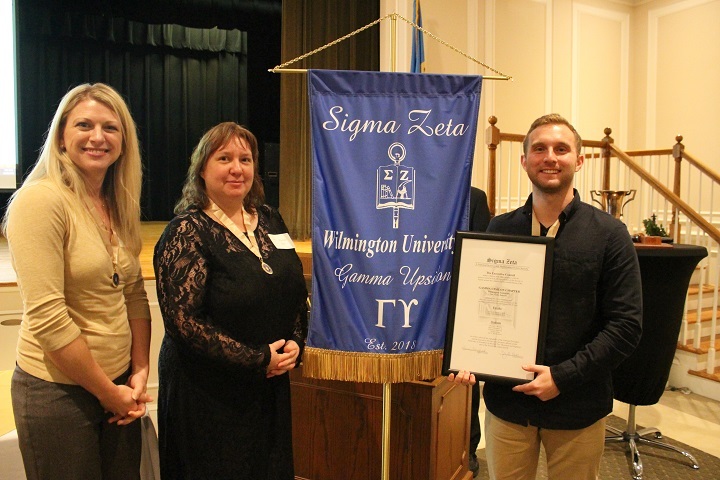 The Gamma Kappa Chapter of Sigma Zeta was installed by Publicist Dr. Cary Guffey in a ceremony at Southwest Baptist University in Bolivar, MO. 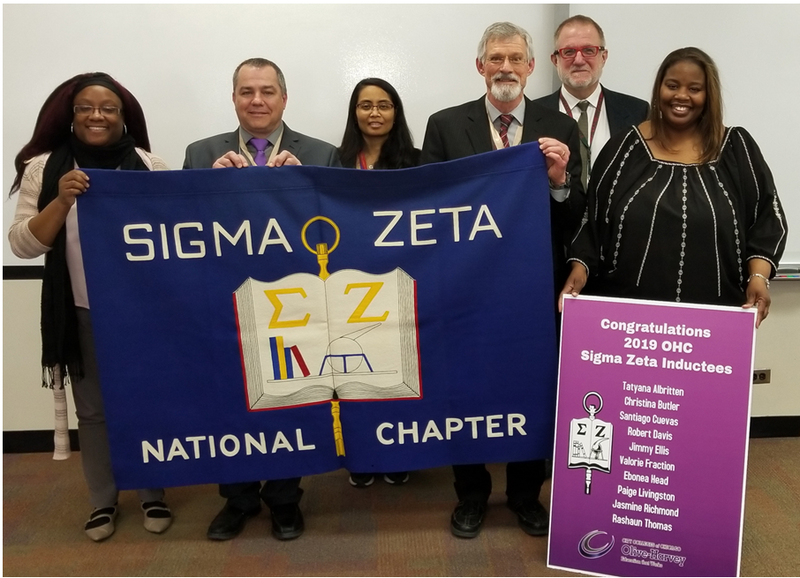 The Gamma Iota chapter of Sigma Zeta was installed by Executive Director Dr. Jim Hall and Publicist Dr. Cary Guffey in a ceremony at Neumann University, Aston, PA.